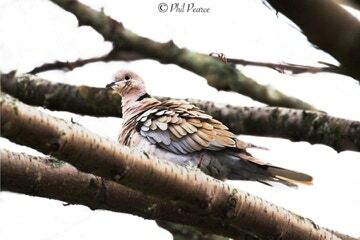 This is lovely pigeon that is often heard before being seen. Its distinctive “cooing” call can be most annoying! It is buff coloured with dark grey wingtips and a collar in black. It inhabits every county in the uk which is remarkable considering it was unknown in 1950. It feeds on seeds and grain. The average lifespan is just 3 years. 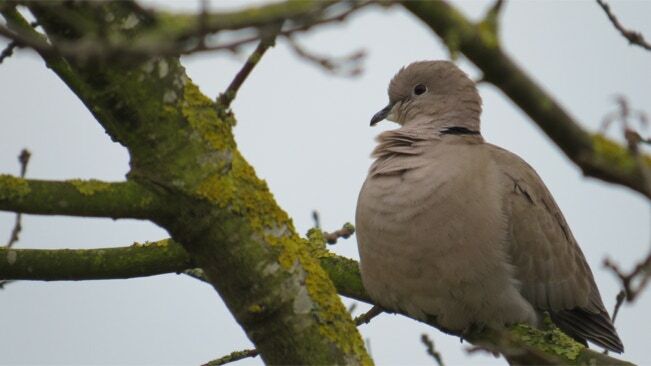 It is a regular visitor to our gardens all year round.